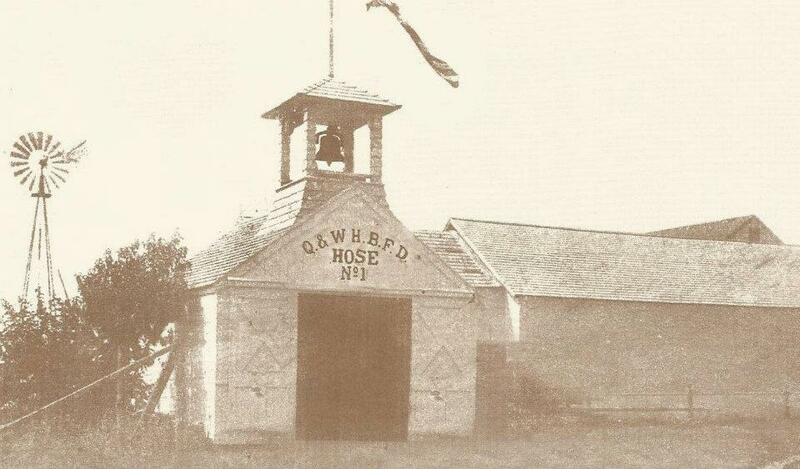 In 1903 the department was organized as a joint venture between Quogue and Westhampton Beach. 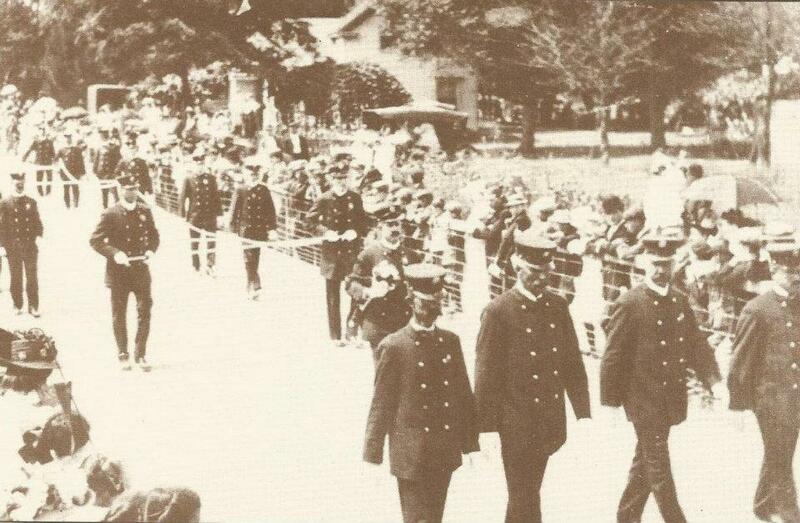 The department consisted of a handful of men and two pieces of equipment. 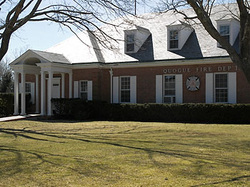 The first building (Hook & Ladder Co. 1) was erected on the east side of Old Depot Road about 500 feet north of Quogue Street. The downstairs accommodated a four-wheeled hook and ladder which had a “pole” in front so that it could be pulled by man-power or towed by an automobile. 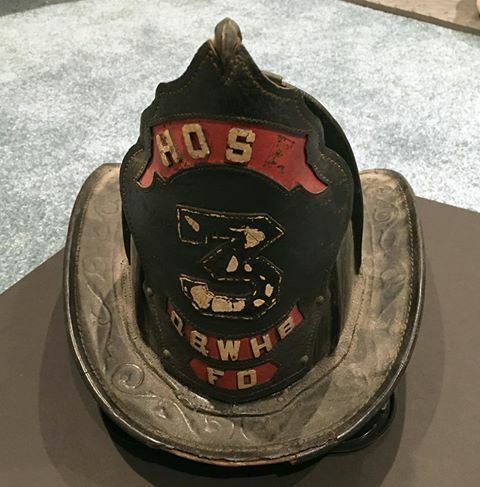 Its equipment included a 24’ extension ladder, several shorter ones, crowbars, pike poles, axes, leather helmets and two-gallon capacity rubber buckets. Upstairs was a large room used for meetings. On Club Lane, a two-wheeled hose cart was housed that held about 300 feet of 2-1/2” hose, various nozzles, crowbars, etc. It was pulled by hand or towed by an automobile. Alongside of this building a scaffold-like “A” frame was built and on its crossbar was suspended a rim or tire from a L.I.R.R. steam locomotive. It hung slightly above the ground and when hit with a metal hammer it would resound like a bell. It was used to “alert” the firemen in case of fire. A similar building was on the west side of Jessup Avenue. 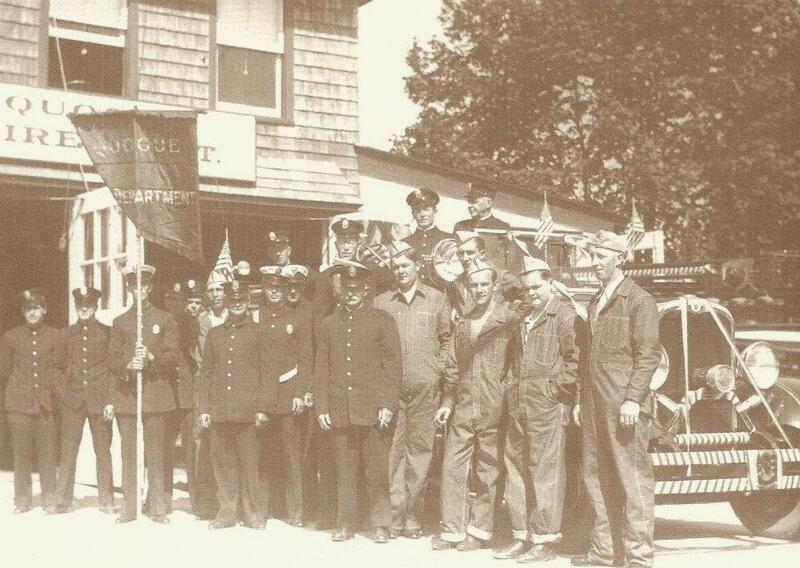 In April of 1927, the two villages decided to separate and since that time we have been known as the Quogue Fire Department. In 1957, the new firehouse was built on Jessup Avenue, where it still stands, and is used today. We have just rebuilt the apparatus room where we now have 6 bays, a new radio room, a large meeting room and a state-of-the art recreation room. We have come a long way since 1903. With the help of the village officials and the community we have the latest in equipment, we are trained in every aspect of firefighting and we have a membership now that stands at 64. We participated in the wild fires in 1995. We are trained in hurricane preparedness. We have dealt with every kind of emergency imaginable, from fires, to plane crashes, to automobile accidents and of course, our infamous rescue of a bobcat that had escaped from its cage at the Quogue Wildlife Sanctuary. We provide an annual Open House, Easter and Halloween parties for all the children from Quogue and surrounding areas, and teach fire prevention at the Quogue Elementary School and to various other organizations. We are a close knit family and are proud to serve our community. Thank you Mayor Sartorius, trustees and all Quogue residents.